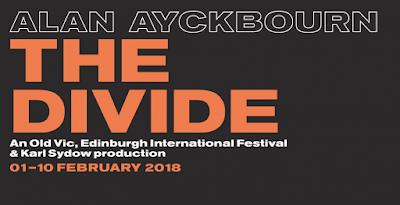 Written as a ‘narrative for voices’ by Alan Ayckbourn and brough t to The Old Vic stage by Old Vic Baylis Director Annabel Bolton following its premiere at the Edinburgh International Festival, The Divide unfolds in a dystopian society of repression and seething insurrection. In the aftermath of a deadly contagion which has decimated the population, contact between men and women has become fatal. Under the dictates of an elusive and authoritarian Preacher, an unthinkable solution has been enforced. The adult survivors are now segregated by gender and, physically separa ted, men wear white as a sign of their purity and women – still deemed infected – are clothed in black as a mark of their sin. As new social norms prevail, brother and sister Elihu (Jake Davies) and Soween (Erin Doherty) grow up learning the ways of their tightly controlled society. As they begin to glimpse the cracks in the system, Elihu falls for Giella (Weruche Opia), the daughter of two radical mothers, risking fatal disease and threatening to ignite a bloody revolution. The Divide will feature a cho ir of 20 performers from The Old Vic’s community company performing original music composed by Christopher Nightingale. 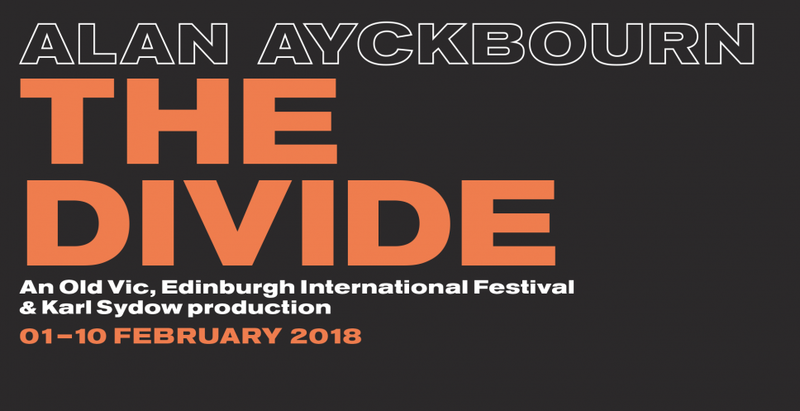 Since the run at Edinburgh International Festival and the production’s run at The Old Vic was originally announced, the development pr ocess has continued and it is now possible to stage The Divide as a single performance rather than a production in two parts. Therefore , The Divide will be presented as one part at The Old Vic . To celebrate the first full production of our very special bi centenary year, we are delighted to extend our PwC £10 Previews tickets across the entire run. 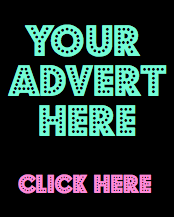 The Old Vic and PwC are committed to inspiring a new audience. For the first production of our bicentennial year, half the seats for every performance of The Divide are £10. PwC £10 tickets will go on sale on Mon 18 Dec 2017 at 12 noon. Clare Burt plays Hork. Her theatre credits include Big Fish (The Other Palace); Flowers for Mrs Harris (Sheffield Crucible - UK Theatre Award); Sunspots (Hampstead Theatre); A Streetcar Named Desire , Verno n God Little (Young Vic); London Road , The Miracle , DNA , Babygirl , Coram Boy , Sunday in the Park with George (National Theatre); Game (Almeida Theatre); Into the Woods , Company , Nine (Donmar Warehouse); The Hired Man (Astoria Theatre); Now You Know (Metrop olitan Room New York/Pizza on the Park). Film work includes Failure to Thrive , London Road , Broken (BIFA Award), The Levelling (X&Y Award). TV credits include Tina and Bobby , Top Boy , Cuffs , WPC 56 , Criminal Justice , Company , M.I.T. , Wednesday at Eight . Jake Davies plays Elihu. His recent theatre credits include Beautiful Thing (Arts Theatre); Barbarians (West End); Yen (Royal Court/Royal Exchange Manchester); Friend Or Foe , The Good Person Of Szechuan (Mercury Theatre Colchester); The Jungle Book (Citz) ; London Wall (Finborough); Something For The Winter (Southwark Playhouse). Films include Ghost Stories , Pregnant Pause , X+Y , Leave To Remain , Vengeance . TV credits include Black Mirror , The Missing II , Silent Witness , Cyber Bully , A Mother's Son , Call The Midwife , Holby City , Bad Education . Erin Doherty plays Soween. Theatre credits include A Christmas Carol (The Old Vic); My Name is Rachel Corrie (Young Vic); Junkyard (Headlong/Rose Theatre Kingston/Bristol Old Vic/Theatr Clwyd); The Glass Menagerie (Hea dlong); Lights Out (Royal Court); Wish List (Royal Court/Royal Exchange Manchester — Manchester Theatre Awards Best Actress in a Studio Production); Who Cares (The Lowry); Pink Mist (Bristol Old Vic). TV credits include Call The Midwife. Radio credits incl ude The Government Inspector and The Music Lesson (BBC Radio). Awards include Stephen Sondheim Student of the Year Award 2015 at Bristol Old Vic Theatre School. Thusitha Jayasundera plays Kest. Her t heatre credits include My Eyes Went Dark (Finborough/Tra verse/US); The Vertical Hour (Park Theatre); Behind the Beautiful Forevers, Crime and Punishment, War Horse, Caucasian Chalk Circle (National Theatre); Dreams of Violence (Out of Joint); Tiger Country (Hampstead Theatre); Marine Parade (English Touring The atre); A Day at the Racists (Finborough Theatre); Twelfth Night (Young Vic); The Comedy of Errors , Coriolanus , Pentecost (RSC). Films include The Foreigner, Signal to Noise . TV work includes Humans, Midsomer Murders, Doctor Foster , Broadchurch , The C Word , Lewis , Above Suspicion: Red Dahlia , Silent Scream . Richard Katz plays Conrad. Theatre credits include The Encounter , The Master and Margarita , Measure for Measure , Mnemonic (Complicite); Richard II , Nell Gwynn , (Shakespeare's Globe); War Horse , Wind in t he Willows , (National); Romeo and Juliet , As You Like It , Comedy of Errors , The Drunks , The Winter's Tale , (RSC); Spyski (Lyric Hammersmith); Way to Heaven (Royal Court); Senora Carrar's Rifles , Arabian Nights (Young Vic); King Ubu (Gate). Film credits inc lude Guardians of the Galaxy , Sixty Six , Enigma . TV credits include Discovery of Witches, Taboo , Crossing Lines , The Honourable Woman , Ambassadors , Omid Djalili Show , Green Wing , Hustle , Hyperdrive , Rome , Black Books , Nicholas Nickleby . Richard writes and performs Trespasser’s Guide to The Classics, Marley Was Dead for radio. Joanne McGuinness plays Axi. Her theatre credits include Cinderella 2: I Married A Numpty , Spuds ( Òran Mór) ; Snow White and the Seven Wee Muppets (Websters Theatre); Our Ladies of Per petual Succour (The National Theatre/Melbourne Festival); Dragon ( National Theatre of Scotland); Peter Pan ( King’s Theatre); Life Long and Liberty (Dumfries and Galloway Arts); Glasgow Girls ( National Theatre of Scotland/Citizen’s Theatre); I Will Survive (Websters Theatre); The Pure Amazing Wizard of Oz , Company (Cottier Theatre); She’s Dead Of Course (Edinburgh Fringe); Elegies for Angels, Punks and Raging Queens (Iron Theatre). Film credits include The Wee Man , Zombie Musical , Going Viral. TV credits in clude Doctors (BBC). Sophie Melville plays Sassa. Theatre credits include Pops (Young Vic); No One Will Tell Me How To Start A Revolution (Hampstead Theatre Downstairs); The Divide (Edinburgh International Festival); Pagans (The Old Vic); Low Level Panic (Orange Tree Theatre); 2066 (Almeida); Blackbird (The Other Room Theatre); INSIGNIFICANCE , Under Milk Wood (Theatr Clwyd); Iphigenia in Splott (Sherman Theatre/National Theatre/SCHAUBÜHNE/Theater 59E59 NYC); Romeo and Juliet (Sherman Theatre); Tis Pity Sh e's A Whore, See How They Run, The Shape Of Things (Theatre By The Lake). Film credits include Canaries, Cupidity, Telling Tales . TV credits include The Missing 2 . Clare Lawrence Moody plays Desollia. Her theatre credits include Home Chat (Finborough Thea tre); Mill Hill (St James Theatre); The Distance (Orange Tree Theatre); Love Games (Chichester Festival); Mary Shelley (West Yorkshire Playhouse/Oxford Playhouse); Age of Arousal (Lyceum Theatre Edinburgh/UK tour); The Girls of Slender Means (Assembly Edin burgh); Mine (Hampstead Theatre/UK tour); Fram (National Theatre). Film credits include Pride . TV work includes Holby City , EastEnders , Ultimate Force , Bad Girls , Longitude , This Could Be The Last Time , Harry . Weruche Opia plays Giella. Theatre credits in clude The Trial (Young Vic); Liberian Girl (Royal Court); The Waiting Room , For Coloured Girls , The Inheritors (National Theatre Nigeria); Shakespeare Sonnets (Shakespeare's Globe). Film credits include Bad Education: The Movie , When Love Happens . TV credi ts include Inside No.9 , Bad Education , Banana , Suspects , Top Boy , Million Pound Squat , The Bill . Martin Quinn plays Fergo. A recent graduate from Guildhall School of Music & Drama, his recent theatre credits include Let the Right One In (Dundee Rep/Royal Court/Apollo Theatre). TV credits include Limmy’s Show (BBC Scotland’s Christmas Celebrations , 2011). Letty Thomas plays Grosh . This is Letty’s debut professional production since graduating from RADA in July. Other t heatre includes Mary Stuart (Almeida Theatre); Men (Arcola Theatre/Edinburgh Fringe Festival); Seeing Double (Camden’s People’s Theatre/Pleasance Theatre). Finty Williams plays Chayza. Theatre credits include Don’t Dress for Dinner , Blithe Spirit (The Mill at Sonning); Dinner with Friends (P ark Theatre); The Vote (Donmar); Macbeth , The Lightning Child , Bedlam (Shakespeare’s Globe); Volcano (Vaudeville); Luise Miller (Donmar); Twelfth Night (National Theatre); Bedroom Farce (Rose Theatre/Duke of Yorks); The Chiltern Hundred (Windsor Theatre/Ch ichester/West End); Pride and Prejudice (Royal Exchange). Film credits include Delicious , The Good Night, Ladies in Lavender , The Importance Of Being Earnest , Gosford Park , North West One , Mrs Brown , Dame Flora , The Secret Rapture , The Mystery of Edwin Dro od . TV credits include Doc Martin , Cranford , Born and Bred , Tales From The Crypt , The Torch . Alan Ayckbourn . 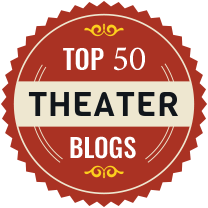 2017 marks Alan’s 56th year as a theatre director and his 58th as a playwright. His work has been translated into over 35 languages, and has been performed on stage and television throughout the world. He is perhaps best known for his plays Relatively Speaking , How the Other Half Loves , Absurd Person Singular , Bedroom Farce , A Chorus of Disapproval and The Norman Conquests . In 2009, he retired as A rtistic Director of the Stephen Joseph Theatre, a post he held for 37 years and where almost all his plays have been and continue to be first staged. Since 2005 he and the SJT company have been regular visitors to the Brits - off - Broadway Festival at 59E59 T heatres New York, where his work always attracts uniformly excellent reviews. Later this year he will direct a revival of his and Andrew Lloyd Webber’s By Jeeves , as well as the premiere of his latest play, A Brief History of Women , at the Stephen Joseph T heatre. Alan received the 2016 Oxford Literary Festival’s Honorary Fellowship and in recent years he has been inducted into American Theatre’s Hall of Fame, received the 2010 Critics’ Circle Award for Services to the Arts and became the first British playw right to receive both Olivier and Tony Special Lifetime Achievement Awards. He was knighted in 1997 for services to the theatre. Annabel Bolton is The Old Vic Baylis Director . 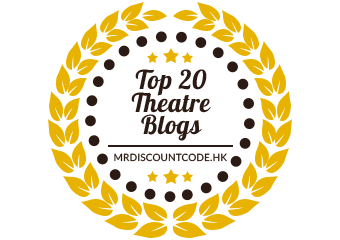 Annabel has directed and produced many high profile events both in the UK and U SA. She is currently directing The Divide which opened at Edinburgh International Festival this summer, before transferring to The Old Vic. Previous credits as director include Future Conditional (Co - Director with Matthew Warchus , The Old Vic ) ; Love Story (Walnut Street Theatre, Philadelphia) ; 24 Hour Plays Celebrity Gala , Scenes from Romeo and Juliet with West Side Story , Variety Nights at The Old Vic and many workshops. Credits as A ssociate Director include Charlie and the Chocolate Factory for Sam Mendes , Hay Fever for Howard Davies , Million Dollar Quartet for Eric Schaeffer, Love Story for Rachel Kavanaugh, Deathtrap and La Bête for Matthew Warchus, Backbeat for Iain Softley (Citizens Theatre, Glasgow) ; The Norman Conquests for Matthew Warchus ( The Old V ic and on Broadway ); Speed - the - Plow for Matthew Warchus (Recklinghausen, Germany). Assistant Director: The Lord of the Rings and Stones in His Pockets (UK tour). Film credits include Music Coordinator for Pride and for television Up the Women (BBC workshop ).